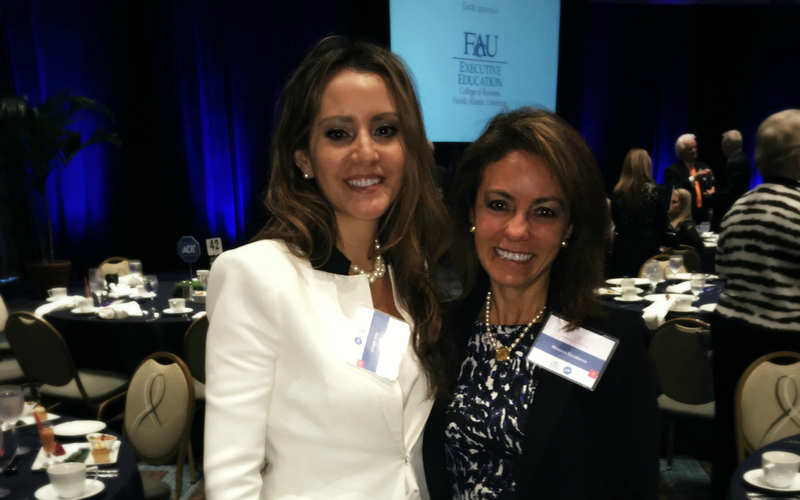 Monica Escaleras brings forth the voice of Hispanics through FAU’s Business and Economics Polling Initiative. She is constantly being interviewed for her expertise on national television and print news outlets and has received recognition from Florida Governor Rick Scott and FAU for all her work. Here is her journey to becoming a successful Latina professional in the US. This is her story. Monica had always thought about moving to the United States to attend college. She remembers that while she was attending college in the US, she became aware of all the career opportunities that the country has to offer and decided she wanted to stay after graduating college. She obtained her Ph.D. from Florida International University and is now a professor of Economics at Florida Atlantic University (go Owls!). Additionally, she currently serves as the Director of the Business and Economics Polling Initiative at Florida Atlantic University. Monica explains, “The Business and Economics Polling Initiative (BEPI) conducts surveys on business, economic, political, and social issues with main focus on Hispanic attitudes and opinions at regional, state and national levels.” The Initiative will publish monthly the Hispanic Index of Consumer Sentiment, a monthly look at the nation’s Hispanic economic outlook. 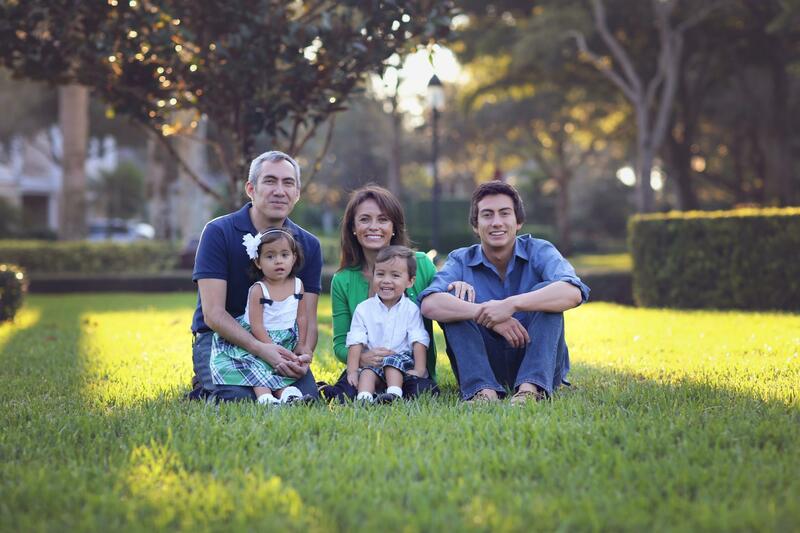 NENANI: Why did you decide to stay in the US? ME: Some of the reasons were better career opportunities, safety and a better future for my family. ME: As a professor I try to mentor my students in the classroom as well as outside the classroom. In addition, as director of the Business and Economics Polling Initiative I am always seeking the opinion of Hispanics on current issues. Additionally, the results of the polls have been cited in the floor of the U.S. Senate, CNN Espanol, MundoFox, Market Watch, and Reuters, among others. NENANI: You have a passion for research and the economic advancement of Latinos. Can you describe how this came about and how you express and live this passion? ME: Hispanic Americans are not only the largest ethnic minority group in the United States, but they are also one of the most complex. Hispanics in the U.S. trace their roots to a variety of continents and practice a variety of customs. As the Hispanic population grows, the American public’s knowledge about Hispanics grows as well. In this effort, the Business and Economics Polling Initiative conducts the Hispanic Poll, a monthly snapshot poll of Hispanics opinion throughout the country on political, social and cultural topics. When asked about what advice she would give to other Latina professional women, whether coming from Ecuador or already in the US, to grow in their career, Monica mentioned that hard work, assertiveness, creating a strong network and always keeping one’s skills updated are the key to success. Monica is not only a wonderful personal friend but also a talented Latina who has achieved much since moving to the US. We have known each other for a long time, since we were little in fact. She has always been a high achiever and her story of perseverance is inspiring. She is a skilled professor –she achieved her tenure at a really young age- and she has been a proficient athlete with a long background playing tennis. She has accomplished much and continues to contribute to her community and the country in many ways. Thank you Monica for sharing your story so that others can also be inspired by you!